Attention Xbox players Warface faction needs you the modern military shooter phenomenon Warface heads into Early Access worldwide on Xbox One, ahead of its full free-to-play release on October 9. Players can jump straight into action with the games’ impressive arsenal of competitive game modes or join with up to four friends to take down the tactically advanced forces of AI controlled Blackwood faction. 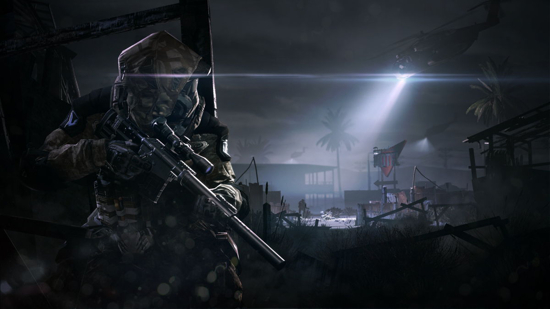 Additionally, an impressive amount of Xbox One timed exclusive maps and mission types will be available for players to team up and take on as they shut down Blackwood factions and their global network of nefarious deeds. Special Operation Mission - Cyber Horde: Blackwood scientists have been working on cybernetic implants in a top secret lab despite the obvious threat of such experiments. Now their twisted creations have broken free and are causing havoc. As a result, an entire region in Eastern Europe is flooded with these failed tests victims. Hordes of cybernetic zombies are roaming free as their numbers grow. The Warface squad is tasked with delivering a vehicle housing an EMP generator, to stop the production of these monstrosities. PvP Maps Farm, Motel, and OutSkirts: Three new maps await Xbox One members which includes Farm, Motel and Outskirts. Each map offers quite a bit of diversity in gameplay. From the wide open fields of the Farm, which players will have to contend with multiple open arenas ideal of snipers, to the confined hallways and rooms of Motel, which resembles an abandoned Nevada motel, and there’s plenty of playing field for each class. Even Outskirts provides its own challenges with a map based on an industrial outskirts with the perfect amount of trash for Engineers to hide deadly mines in and Snipers are sure to watch from atop the multitudes of cargo containers all around!